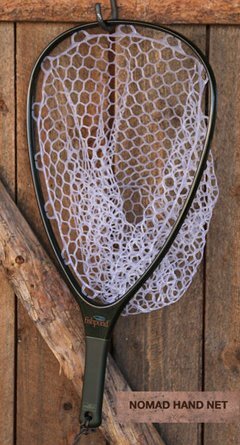 The Fishpond Nomad Hand Net is made for trout fishermen. As are all Nomad nets, the Hand Net is made from a carbon fiber and fiberglass composite. They are lightweight, UV protected, waterproof and they float like a cork. This net comes with a clear rubber net but black can be special ordered.